In a context marked by the search for better ways to achieve energy turnaround in Switzerland, nearly 600 participants gathered at the 15th Swiss Photovoltaic Congress on March 23 and 24 at the SwissTech Convention Center in Lausanne. This event is an important platform for exchanges on the latest results in research in the field of photovoltaic systems. The ACTIVE INTERFACES interdisciplinary research project was among the projects presented on this occasion. Realized with the support of the Swiss National Fund (SNF) in the framework of the National Research Programs "Energy Turnaround" (NRP 70), it focuses on the issues related to building integrated photovoltaic systems (BIPV). While still dependent on non-renewable primary energy sources (gas, oil and uranium), Switzerland is starting its energy transition. In this changing environment, the production of photovoltaic electricity constitutes an increasing issue for the coming decades. The issues, however, are not only quantitative but also qualitative. Currently, only a small potential percentage of building integrated photovoltaic systems (BIPV) is valued in cities and urban areas. Among the issues to deal with, architectural issues are of paramount importance. The emergence of new technologies and the inclusion of BIPV from the preliminary design sketches suggest new paradigms for advanced integrated design. Exploring the challenges inherent in this development is at the heart of ACTIVE INTERFACES, which focuses on the integration of BIPV in the renovation projects of the existing building stock in urban areas. Sergi Aguacil Moreno, Sophie Lufkin, Emmanuel Rey, "ACTIVE INTERFACES. 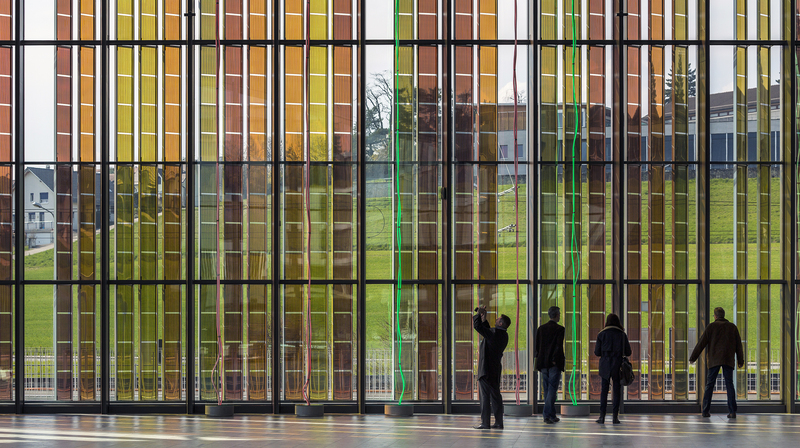 Holistic design strategies for renovation projects with buildingintegrated photovoltaics (BIPV): case study from the 1900s in Neuchâtel (Switzerland)". Guiseppe Peronato, Emmanuel Rey, Marilyne Andersen, "ACTIVE INTERFACES. From 3D geodata to BIPV yield estimation: towards an urban-scale simulation workflow".